In the wake of many recent natural disasters, many wonder how they could help or make a difference. 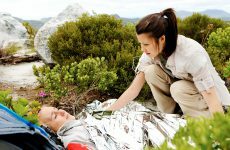 As an Emergency First Response Instructor, you are in a unique position to help people prepare for the worst. You can reach out and emphasize the need for CPR, AED and first aid training as a part of a greater emergency preparedness. Some tragedies quickly overwhelmed emergency services networks – leaving many citizens on their own and fending for themselves. Some feel that individuals should prepare for a three to five day self-sufficiency following a disaster. This includes having food and water readily available as well as training in CPR and first aid to handle emergencies. This is where you come in. By teaching people in your community to respond appropriately and with confidence in the event of an emergency, you become part of the emergency preparedness solution. You can also stress the importance of AED training, as home defibrillators are now available without a doctor’s prescription in some areas. As an Emergency First Response Instructor, you have access to the customizable press release kit available at the Emergency First Response Instructor website. 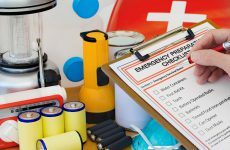 You’ll also find an Emergency Preparedness Checklist, a Family First Aid Supply List and an image to include with your promotional advertisements and Emergency First Response course schedule. Now is the time to reach out and help your friends, neighbors and local businesses with disaster preparation. The benefits of doing so can be tremendous. Find out more about the Emergency First Response Instructor course.